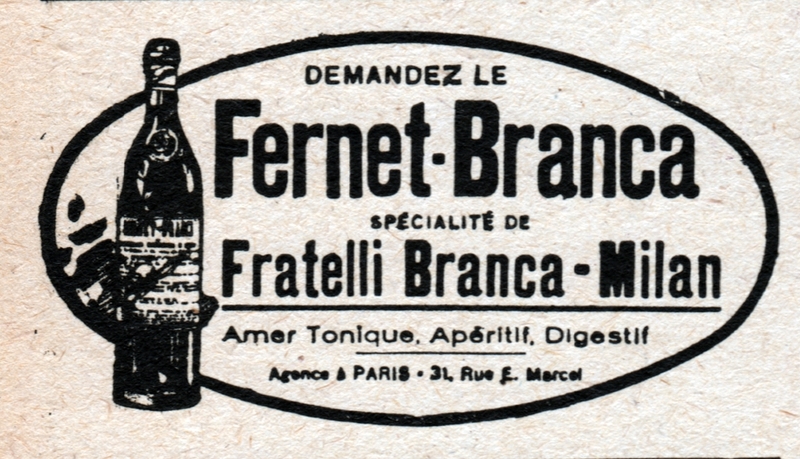 In 1845, Bernandino Branca created Fernet Branca – the bitter health tonic that would be go on to the current day, to become the iconic drink of choice for hipster San Francisconites. It is part of the Amaro category, and further categorized as a Fernet; a bitter digestif which includes many bitter ingredients including the likes of myrrh, saffron, aloe and others. Also a favorite of Argentinians, Fernet is often consumed with coke (Fernet con Coca), neat, or on ice. In cocktail cultures, it lends itself as the secret ingredient for cocktails such as The Toronto, Fanciulli, and Hanky Panky, among others. The Toronto cocktail shares some similarities with other classic inspired whiskey cocktails of the post prohibition era, such as the Boulevardier. Where it differs though, is the signature menthol, or aloe backbone of Fernet. It makes a pretty good training wheel for Fernet that fans of the Manhattan or Old Fashioned might find enjoyable. Like many classics of the old school, the Fanciulli has a number of creation mythologies. Whether it was named after Fransesco Fanciulli, or whether it was named after a term in Italian slang is up for debate. The cocktail shares similarities with the Manhattan, but the addition of Fernet will require you to use a whiskey and vermouth with some backbone. Departing from the Toronto and Fanciulli somewhat, and using gin instead of whiskey, the Hanky Panky marries Fernet with the spirit and an equal proportion of sweet vermouth. The cocktail was created by Ada Coleman of the Savoy, in honor of Sir Charles Hawtrey, who would sit at her bar and indulge in her new creations. One day she served him this particular mixture, which he exclaimed “now this is the real hanky panky!” At least, so the story goes.